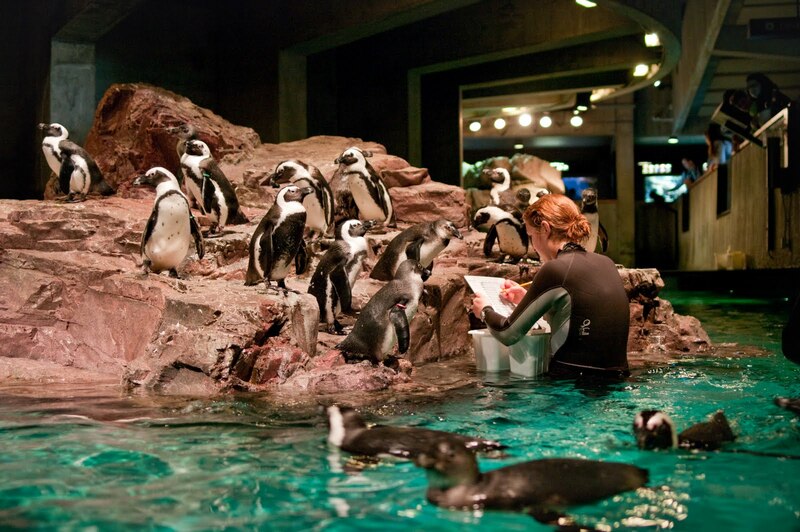 We feed our penguins by hand because it lets us make sure that each bird is getting enough to eat. Check out this video of me feeding the rockhopper penguins to see how it’s done! This method is especially useful when we have to give certain animals vitamins or medicine. Fish are a tasty place to hide pills! How many fish per bird do they eat at a feeding? As a group how do they organize to get fed...they look all spread out, patient, and one at a time from the video?